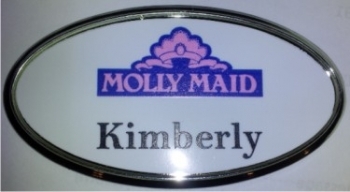 A Custom Printed Name Tag, Oval Printed Name Badge. 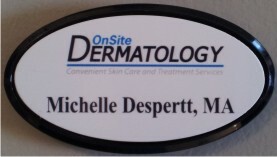 A Custom Printed Name Tag, Oval Printed Name Badge. Magnetic available. Tag Size: 1-1/2" X 3"
Oval name tags make a great first impression. 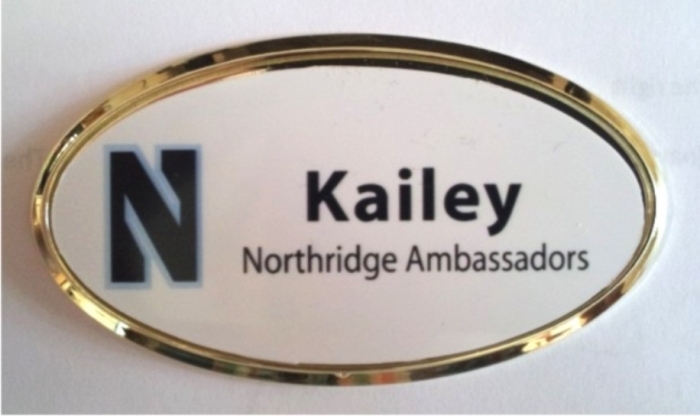 Our 1-1/2 x 3 White* oval name tags can be custom printed & personalized. Add one of our Black, Gold or Silver frames to take it a step higher. No setup cost! Email Proof Provided! *silver & gold oval materials not available. Magnetic option available.